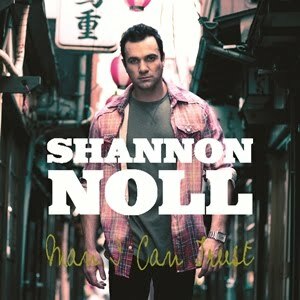 As hinted at on the site this time last week, Shannon Noll has just released his fresh new single ‘Man I Can Trust’. The release of the new track co-incides with the release of Shannon’s brand new book ‘The Story So Far’, which was also released yesterday. The book tells Shannon’s story to this point – from his early days on the farm to the death of his father, to the Australian Idol days and beyond. And he’s still touring constantly. Though he hasn’t even wrapped up his ‘A Million Suns’ tour yet (it arrives in Dubbo this Friday), Shannon has now announced further dates from late November, December and into January and February as part of the ‘In My Youth’ tour. Thanks ausPop, your answer pointed me in the right direction. The original was called “A Man” by Neon. According to the APRA works search, it’s an original composition! I am struggling to remember who sung the original version of this song, can you help me out? Thanks. No mention of a new album on the press release, no. Any hint of a new album or is “Man I Can Trust” just a tie in release with the book?